Saban Brands announced today a new licensing partnership with Spin Master Ltd., Canada’s largest children’s toy and entertainment company, who will serve as global master toy licensee for the company’s iconic and re-imagined Popples brand. 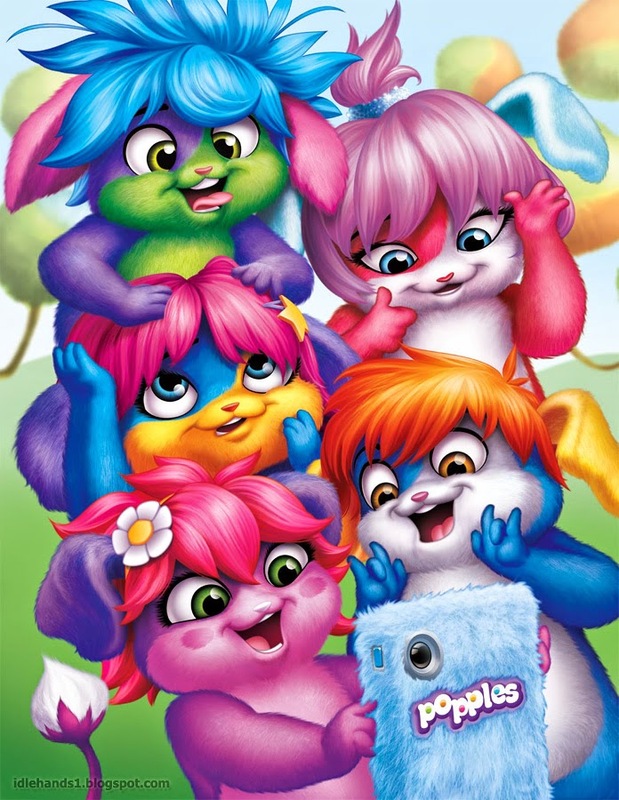 Slated to launch in 2015, Popples is a new animated children’s series based on the nostalgic characters from the popular 1980’s toy line and television series. Spin Master will produce a full range of children’s toys including small dolls, collectible figures, playsets and plush to hit the U.S. market in 2015, followed by an expanded international program in 2016. The new Popples show is a high-energy comedy series about an amazing species of creatures that can pop into and out of a ball at will. The story is driven by the optimistic comic enthusiasm of the Best Popple Pals (BPP’s): Bubbles, Sunny, Lulu, Izzy and Yikes. Always wanting to help their friends, neighbors and each other, the BPP’s efforts often time backfire in hilarious ways, but luckily they always manage to save the day in their own POP-tastic way! Originally introduced in 1985, Popples made their debut in the U.S. with a successful toy line that generated more than $444 million in retail sales, followed by a Saturday morning television show based on the toys. As one of the best selling plush in history, the soft, lovable Popples creatures transformed from fluffy balls to furry friends and back again, making them an instant hit among fans of all ages. They look pretty nice, and we think they are real cute! Can't wait for their release. We just might incorporate the release into a "Popples Grab-cation", a vacation where stops are made to visit stores along the way, and pick them up. These are dayglo demons masquerading as Popples. What was Spin Master thinking? Awesome! Totally getting them when they come out!